Here’s how you can unsubscribe from email and newsletters. In the Dashboard, click on your name at the top right of the screen. You then select Account Settings in the dropdown. Scroll down to the bottom of the page. You will see Email Notifications from Visme section. Click Unsubscribe. 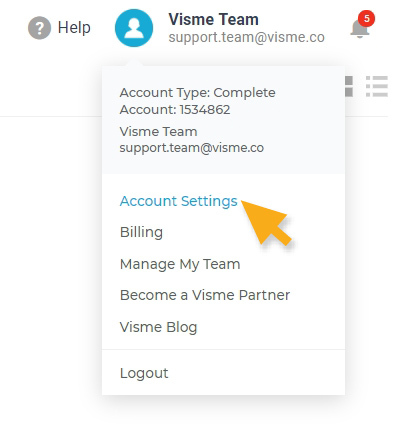 Note: Unsubscribe will opt out from receiving education materials, product, updates, and updates on new blog articles from Visme.